James was so impressed with these eggs. He'd never dyed eggs before and was so amazed by the color combinations and patterns on the eggs. Even after we finished, James kept asking to hold the eggs. As you can imagine, several ended up in our egg salad at lunchtime after he dropped them or squeezed them too hard. Look at all our pretty eggs! These pictures don't do justice to how vivid and brilliant our eggs turned out, they were so pretty! Owen wasn't so sure about the whole collecting eggs thing, he didn't really get it, but he tried! Our boys on a sunny Easter morning at their grandma's house. What a beautiful, perfect day Easter was this year! We are so blessed with this life we have! 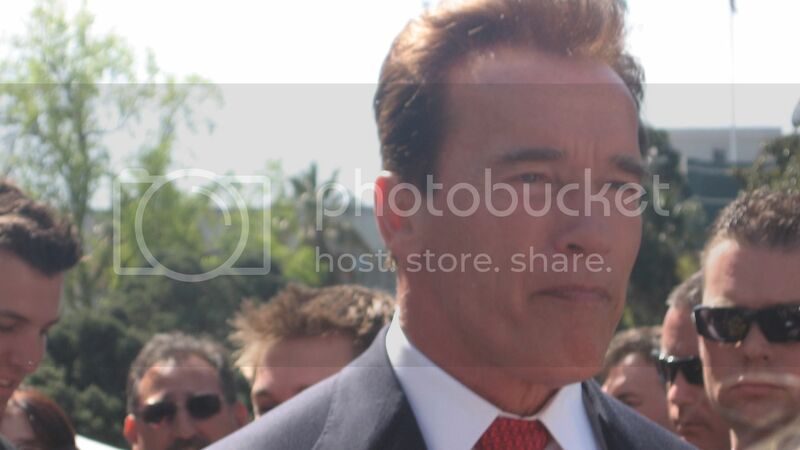 Evergreen 6 meets the Governator & more! My school, Evergreen 6 in Paradise, CA, has received several grants from PG&E. We have a 1.06kW solar installation as well as 16 solar "Sun Ovens" for cooking. 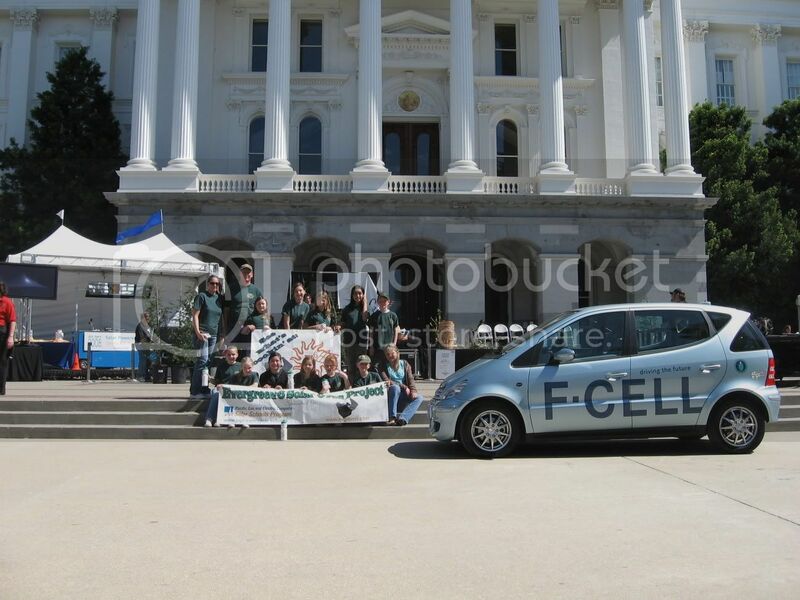 We were invited by PG&E to attend the California Agriculture Day celebration at the State Capitol yesterday. It was such an awesome experience! We took 12 students and headed to Sacramento with our ovens. 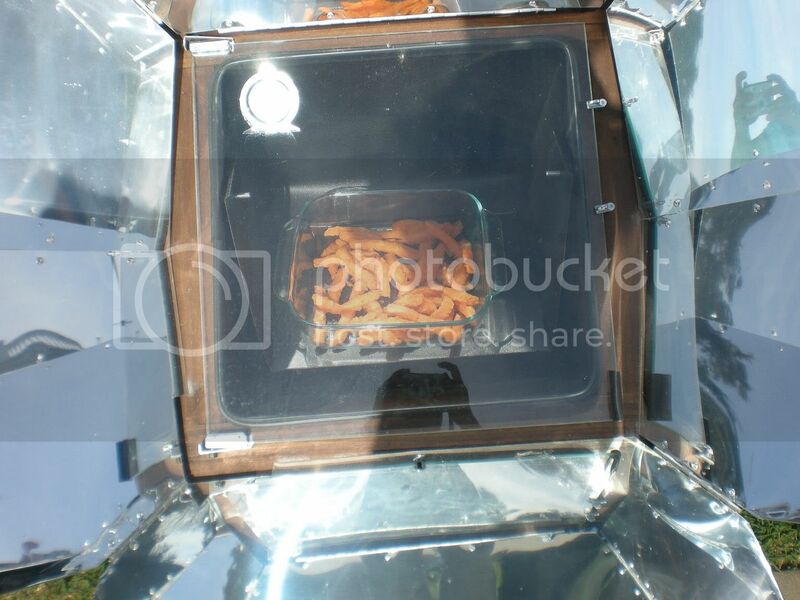 We served solar-baked sweet potato french fries to over 1500 people. It was a little hazy out and cool, but we got our ovens over 300 degrees and were able to cook all the fries. Right before lunch, our students were thrilled to serve the governor some of our fries and to tell him about our solar oven project. The girls working at the serving table, Jennifer & Serenity, were so professional and did an awesome job talking to the governor as well as all of the other visitors to our booth. They even raised $50 in donations toward our "Solar Ovens for Africa" project, in which we are earning money to purchase a solar oven each year to send to a village in the Congo. The villages in the area rely on wood heat, which is not environmentally friendly and it takes a lot of labor to produce. 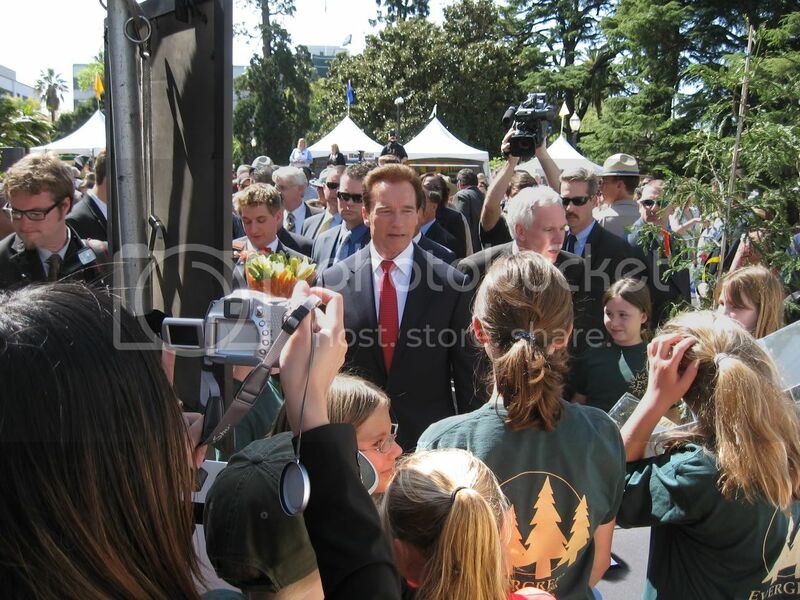 Serenity & Jennifer served the governor fries and told him about our projects. He told the girls, "I am proud of you, keep up the god work. It is fabulous!" 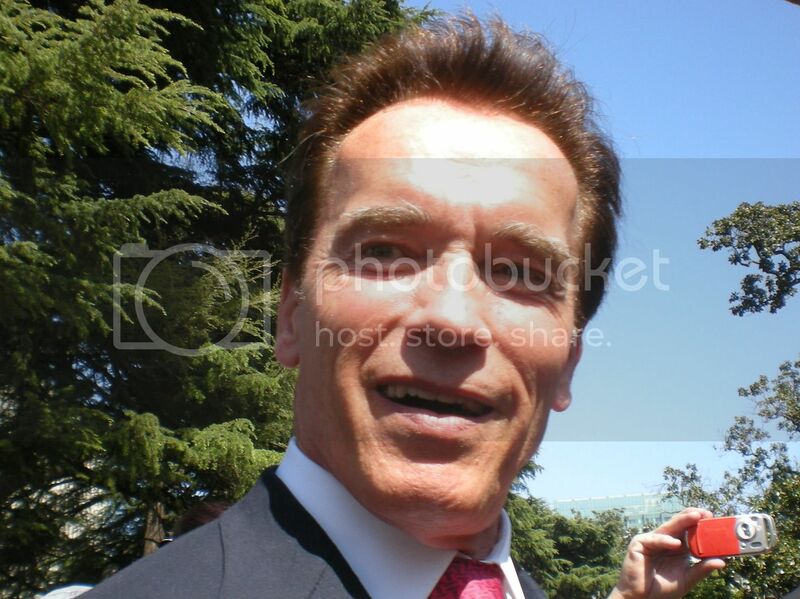 in his true Arnold accent. One of my students saved the toothpick he ate from- she wants to sell it on eBay! Haha! 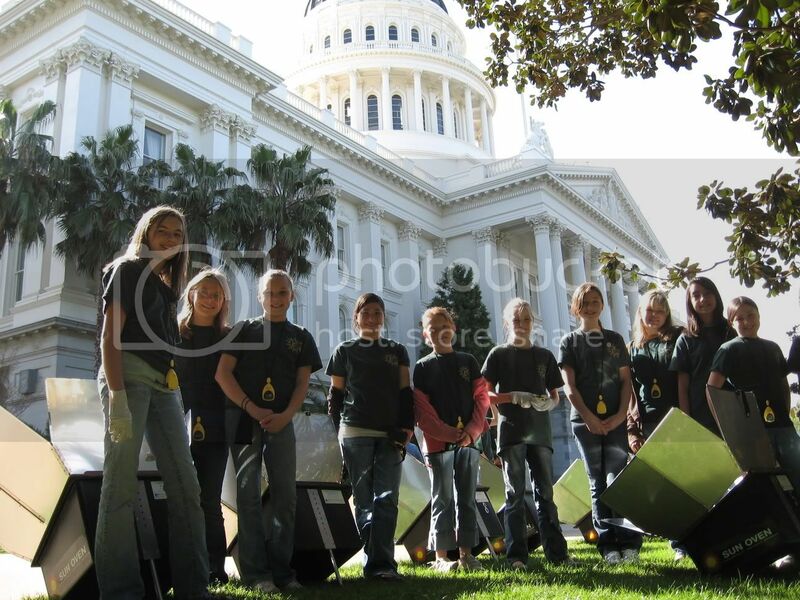 Our awesome students with our ovens in front of the capitol. This was our "solar kitchen" for the day. Group picture- my kids are the ones in green shirts. 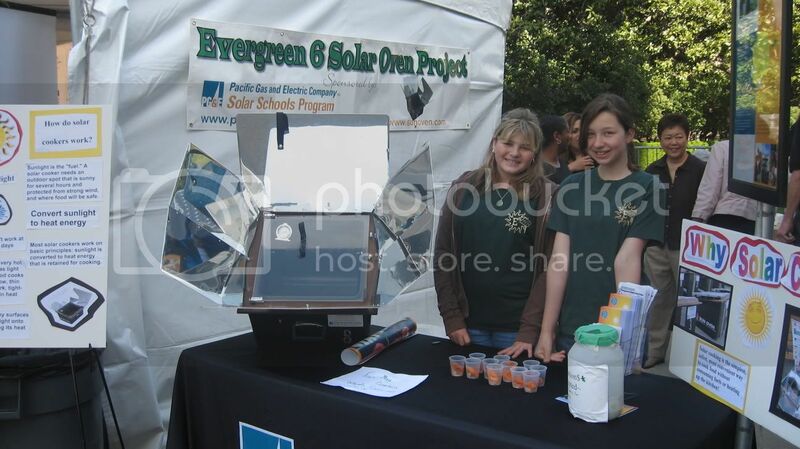 The other kids were 4th & 5th graders from Woodland who also have a solar installation from PG&E. 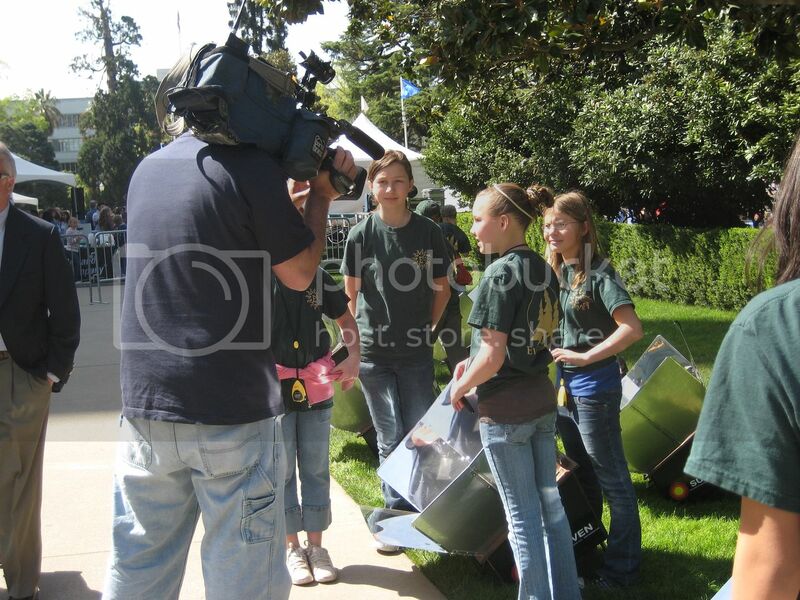 Our students were interviewed by KCRA 3, FOX 40 and the Capitol Weekly while we were in Sac. This was our section of the PG&E booth where we served the fries to the public. This is a front shot of Jennifer & Serenity, they were so great! 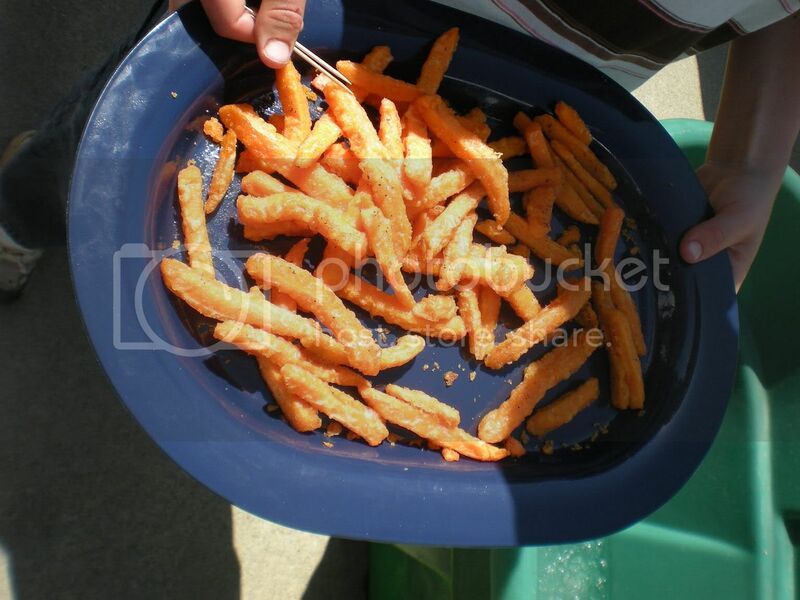 Hot fries cooking in the sun! Ready to eat! 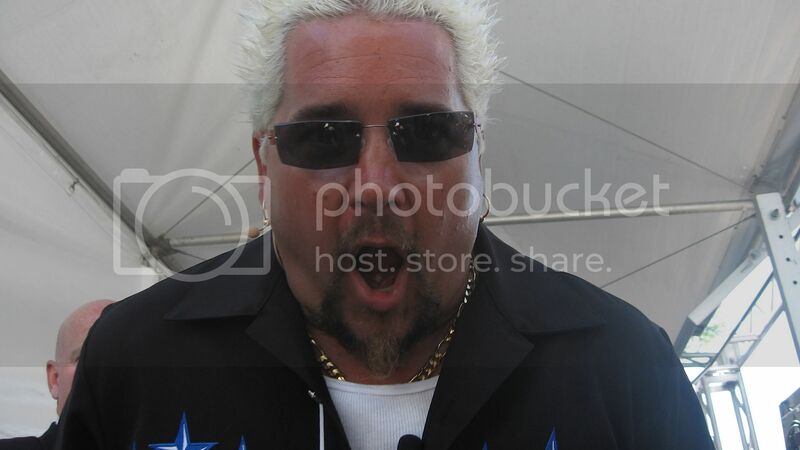 This is the BIG PG&E solar-powered kitchen where Guy Fieri, Food Network star of shows such as "Guy's Big Bite", "Diners, Drive-Ins and Dives", and "Gotta Get It" cooked with our kids. 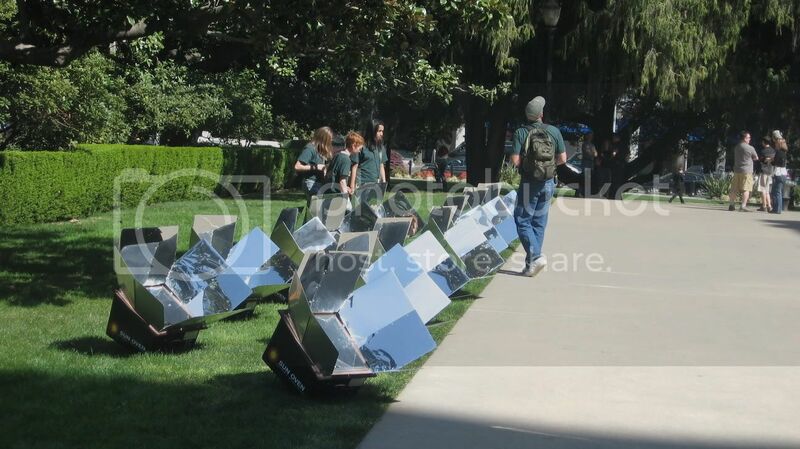 A close-up of the PG&E solar kitchen. 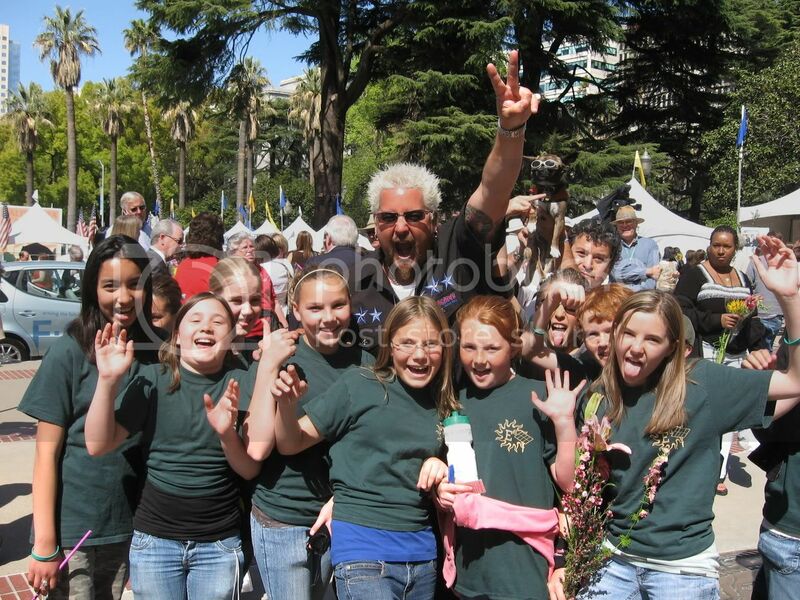 Food Network star Guy Fieri was so great with our kids! He was so patient and took pictures with all of them & signed lots of autographs. My students were all star-struck! Guy and my students doing a "wild" pose! Guy being silly! 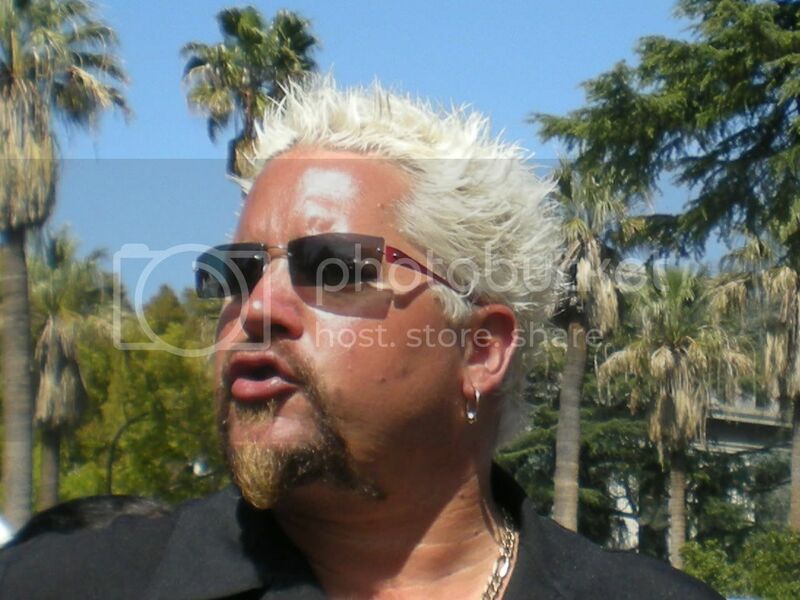 Guy Fieri cooking the PG&E solar kitchen. Kylee & Alysa's 5th Birthday Party! James LOVES his "sisters" and today was their 5th birthday! He has been talking about this party all week and it was everything he'd anticipated it would be! All of the kids gathered around the ladies while we sang "Happy Brithday" to them & they blew out the candles. Brooke & Jake went in with us an bought the ladies this enchanted princess castle, complete with furniture and accessories. It was a huge hit with all the kids! The "Jum-Bubbler" was a big hit again! This thing makes awesome bubbles, but it drips everywhere and makes a huge mess. So worth it for the great bubbles though! Travis taught Owen how to bbq burgers and dogs. Charli-extreme-close-up! Owen insisted that Charli pal around with him all day today. He made her hold his hand everywhere he walked too! Owen & Charli, pals for the day. James was so tired, he sacked-out in the ladies' new chair for about an hour. 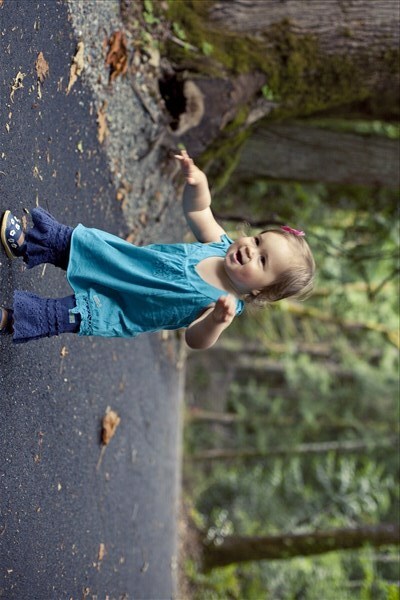 Today we met Jessica, Alina & Sally at Bille Park for a picnice and some playing. The boys loved spending some time with their aunt, cousin and grandma and we all enjoyed the glorious weather! I love these shots of Owen enjoying the pretty pink flower he found. What a sweet age he's at right now, everything is new and exciting to him. We had a nice picnic lunch on the grass before going to the playground to play. Owen & Alina enjoyed swinging together. Sliding on our favorite tunnel slide. I have similar adorable shots of James on this same slide when he was about this age. James had a blast at the park, this is one of his favorite places! This is one of those days that makes me really appreciate the fact that my chosen profession allows me to have frequent extended periods of time off. The weather was amazing, our back porch was just calling our names! James & Owen are like me, we just can't stand to be inside on a day this beautiful! Silly James makes this fake-smile-face every time he knows I'm taking a picture of him! He insisted on wearing his hood despite the fact it was nice & warm out. Owen is so proud that he can wriggle down the stairs all by himself these days. One last shot for the day- Owen in my boots! He loves marching around in big shoes any time he gets the chance! We've got Willoughby's Cabin for the 4th of July!